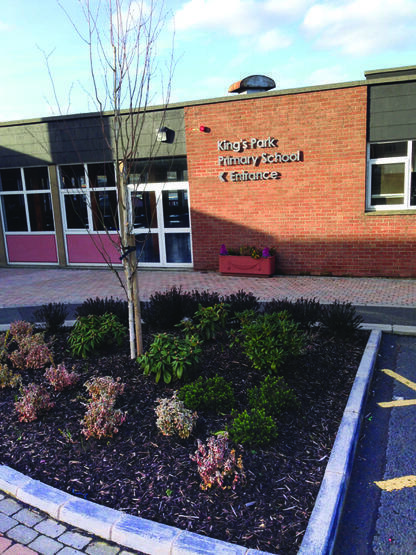 King’s Park Primary school is situated in a residential area on the outskirts of the town between Lurgan Park and the Avenue Road. The school has expanded greatly since it was first opened in 1936. The original red-bricked building, which consisted mainly of twelve classrooms and an Assembly Hall, was later extended to accommodate a further 12 classrooms, a dining hall and kitchen, a medical examination room, Principal’s office, secretary’s office and a staffroom. In 1977, two of these classrooms were designated as nursery classrooms and some minor modifications were made to them and to the surrounding playground area. In 2012 a new multi-use games area (MUGA) was built in our grounds and we feel this will be a major addition to the educational opportunities we will be able to offer our children. A gate at the far end of the MUGA provides direct access to Lurgan Park. There are two main entrances to the school. The one off Queen’s Place is a pedestrian access only and the other, off Avenue Road, has both vehicular and pedestrian access. Refurbishment and decoration of the entire school, during the summer of 1989, has created a very comfortable environment for both pupils and staff. In 2012 our new three class nursery building was officially opened giving our youngest children the best possible environment in which to begin their educational career. The school has an enrolment capacity of 658 from Primary one to Primary seven levels with an admission number of 94. 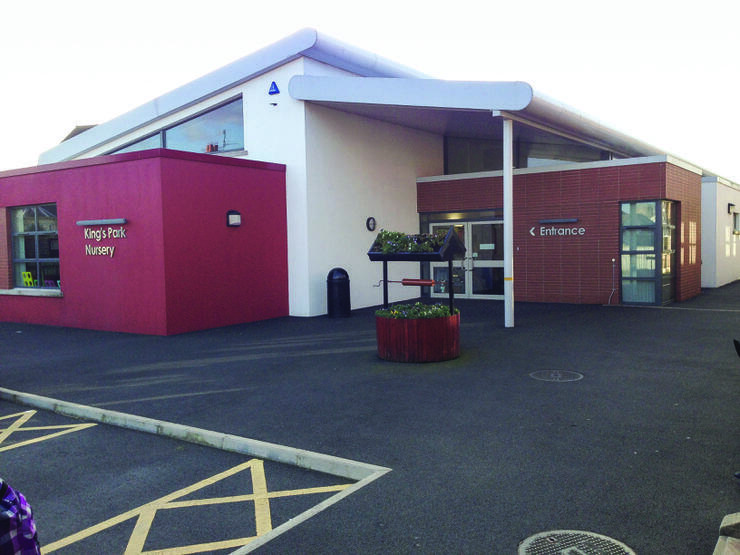 In addition the nursery has an enrolment capacity of 78 places.